Interested in building or relocating your business? 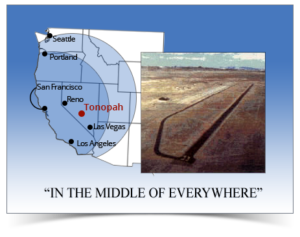 Tonopah is at the strategic crossroads of major air/truck corridors with intersecting north-south truck transportation and east-west air transportation. Tonopah is on US95, the major north-south highway connecting Reno/I-80 and Las Vegas/I-15, both three to four hours away by ground transportation. US 6 runs east to west at the airport. Less than a month after Germany attacked Poland in September, 1939, General Headquarters Air Force at Langley Field, Virginia, was considering the desirability of improving the airdrome seven miles East of Tonopah. Efforts to obtain a large tract of land in that area for bombing and gunnery practice began. On October 29, 1940, more than 3,000,000 acres of the public domain (approximately 5,000 square miles) South East of the proposed airfield were transferred from the Department of Interior to the War Department. 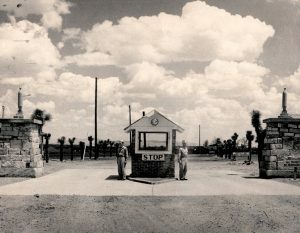 During 1940 construction began on the air field. 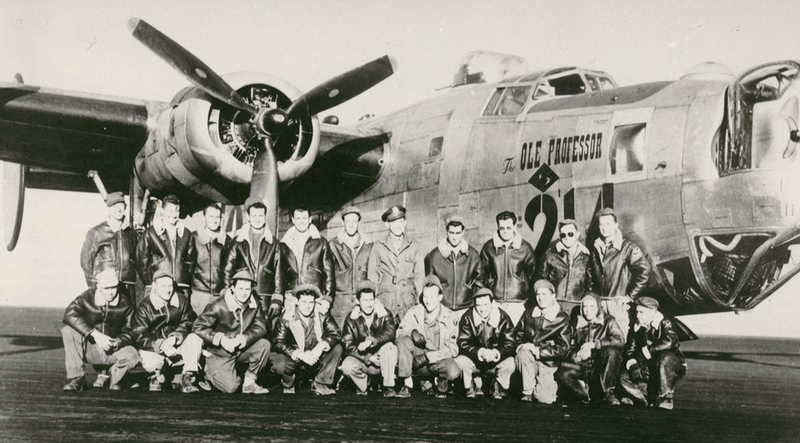 By 1942 the first military personnel arrived at the pilot training facility. It consisted of mess halls, barracks, a hospital and other facilities. Bell P-39 Airacobras, a fighter with the 12 cylinder engine behind the pilot were the first to arrive. During 1943, twelve P-39 fighter squadrons trained on the bombing and gunnery range, flying out of the Tonopah base. Among those was the 357th F Gp. with flight officer Chuck Yeager, the first man to break the sound barrier. By late 1943 a three million dollar expansion project began. It transformed the base into a B-24 Liberator bomber training facility and became known as the Tonopah Army Air Field. The B-24 was a four engine, twin tailed aircraft which carried a crew of up to 10. During Oct. 1944 there were 66 B-24 aircraft available for the training program. 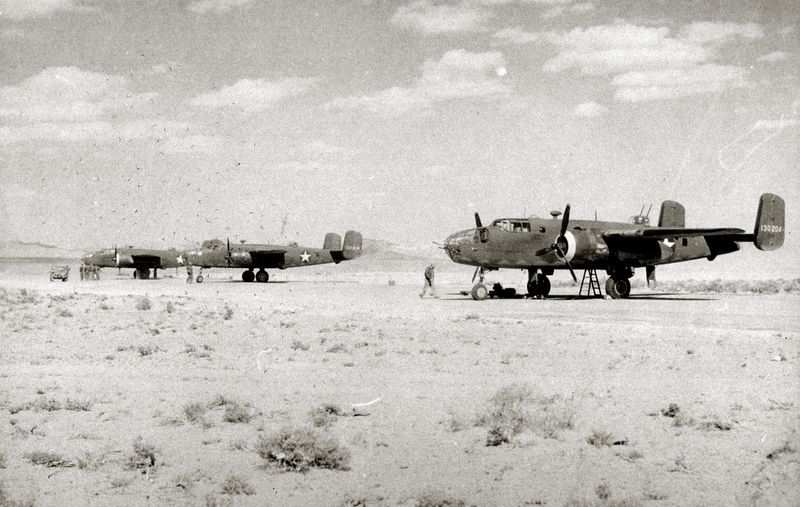 After training at Tonopah the bomber crews would be assigned to bases in Europe and the Pacific. Between 1942 and 1945 six thousand military personnel had been stationed at T.A.A.F. including 1,264 officers and, 5,273 enlisted men and women. Between Feb. 1944 and August 1945 seven hundred fifty combat crews trained at the base. Field test unit teams from the Special Weapons Branch, Wright Field, Ohio arrived at the base during 1944. Their mission was to test secret guided bombs at and near the base. Those tests were the foundation of 21st century Smart Bombs. 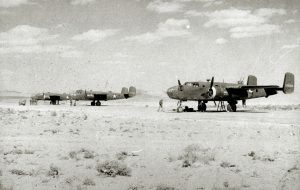 During August 1945 TAAF was put on inactive status, By 1947 the base was declared excess. Today what remains of what was one of the nations largest W.W.II pilot and bomber training bases are two hangers in various stages of disrepair, acres of concrete foundations, the runways and Tonopahs Airport.